The latest version 1.1 of the revolutionary tuner “KORG cortosia” app which evaluates multiple aspects of single notes on various musical instruments is now available. cortosia now supports two additional instruments - violin and cello in addition to flute, clarinet and trumpet. Moreover new drum sounds have been added to the metronome. We are offering a 50% discount to celebrate this exciting new release. 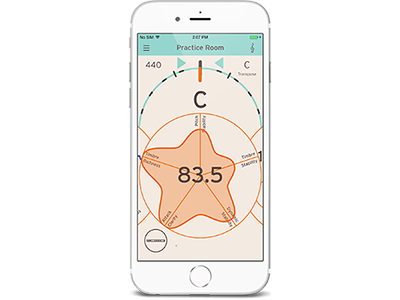 Download and experience this revolutionary tuner on your iPhone or iPod touch now and see how this interactive tuning app can improve your sound and performance! Home News New KORG cortosia tuning app is now available with support for both Violin and Cello! 50% discount on the normal price starts from April 10 for one week!